Just like Han Solo, now you can always have Chewbacca by your side! 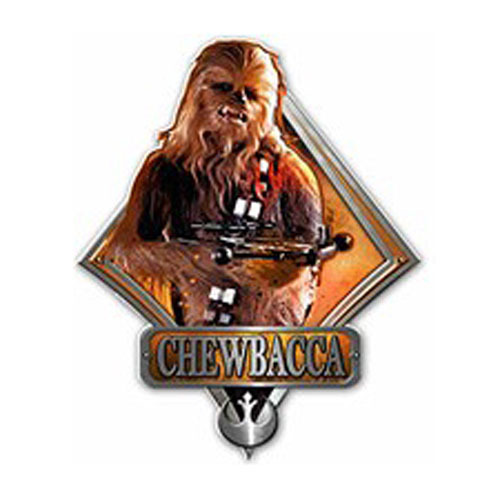 The Star Wars Chewbacca Die-Cut Wood Wall Art features an image of your favorite Wookiee, with his name below. To apply, simply hang up the piece on a nail with the attached mounting bracket and decorate any space with your Star Wars side. Measures 13 1/2-inches x 10-inches. Ages 14 and up.